Previously-unreleased, 1970 benefit concert featuring Arlo Guthrie, Joan Baez, Pete Seeger, Country Joe McDonald + more. 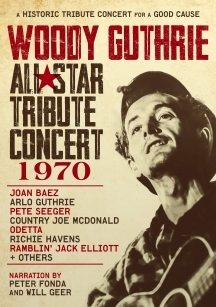 The Woody Guthrie All-Star Tribute Concert 1970 at the Hollywood Bowl celebrates the work of America's legendary folk singer and songwriter. This rare and historic tribute concert has never been seen before. It features Arlo Guthrie, Joan Baez, Pete Seeger, Country Joe McDonald, Odetta, Richie Havens, Ramblin' Jack Elliott and others in their prime. This concert also features narration by actors Peter Fonda and Will Geer and is produced by 4-Time Emmy Award Winner Jim Brown. This star-studded event was a fundraiser for the California Chapter of The Committee to Combat Huntington's Disease (now known as the Hereditary Disease Foundation), as Woody died of Huntington's disease in 1967. 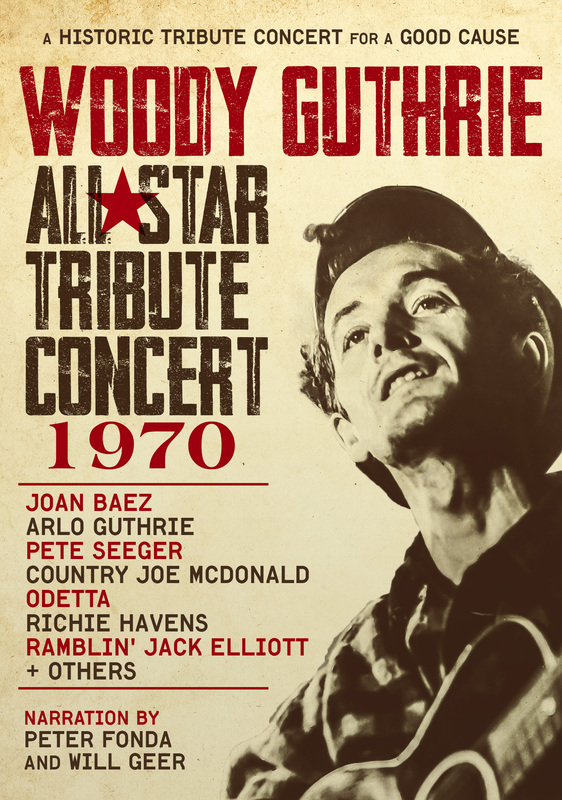 Extras include 3 never-before-seen songs performed by Joan Baez, Odetta and Ramblin' Jack Elliott, as well as concert rehearsal footage and audio interviews with Arlo Guthrie and Ramblin' Jack Elliott. Twelve minutes of extras include 3 never-before-seen songs performed by Joan Baez, Odetta and Ramblin' Jack Elliott, as well as concert rehearsal footage and audio interviews with Arlo Guthrie and Ramblin' Jack Elliott.